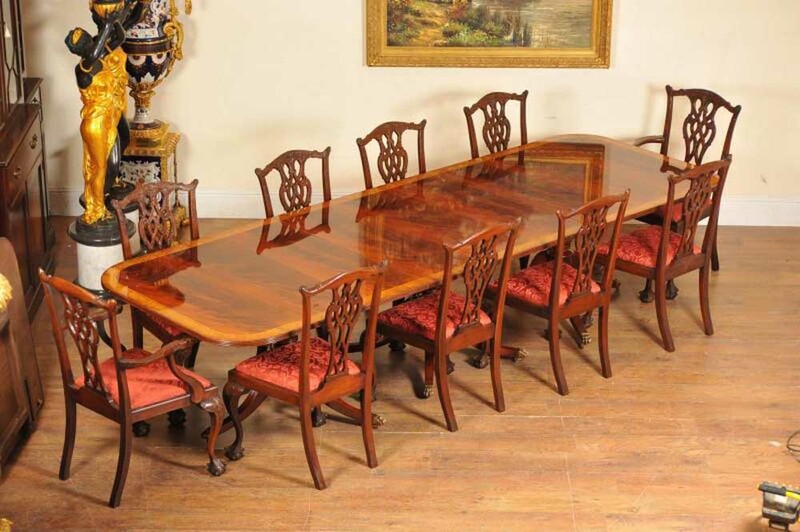 You are viewing a gorgeous English Regency style dining table with some wonderful Chippendale motifs such as the carved perimeter and ball and claw feet. 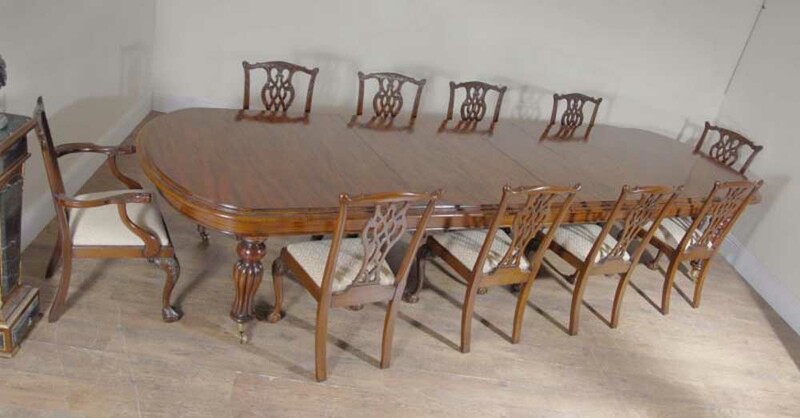 The table has two leaves that measure 18 inches each and this is nearly ten feet when fully extended – great for large scale dinner parties. You can take out the leaves to suit different functions. 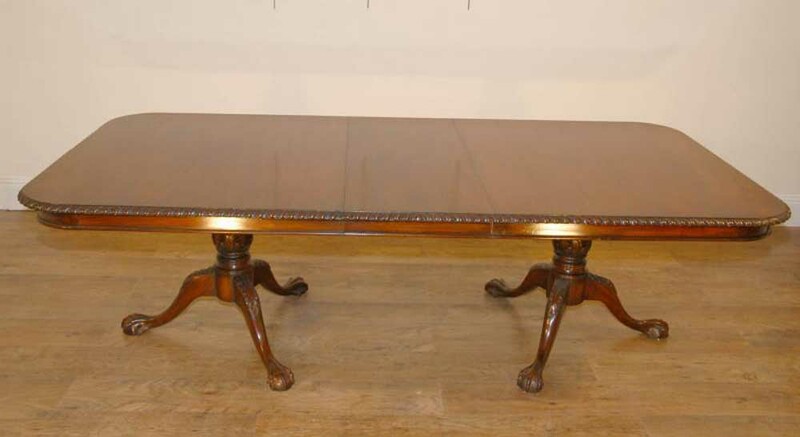 The table is offered in great shape, solid and sturdy, wobble free, built to last making it a great investment. We will ship to anywhere in the world so get your quotes in early. We have various chairs to match so please contact if you are looking for a set. 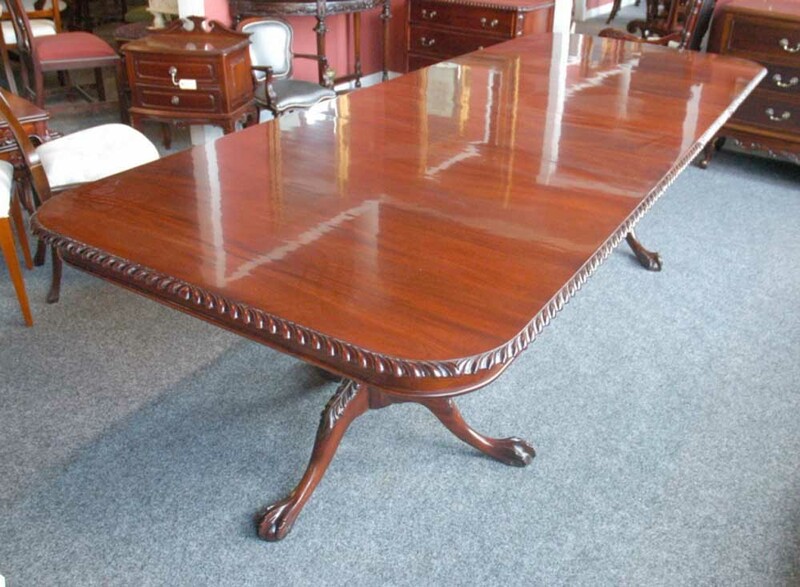 You are viewing a gorgeous English Regency style dining table with some wonderful Chippendale motifs such as the carved perimeter and ball and claw feet. 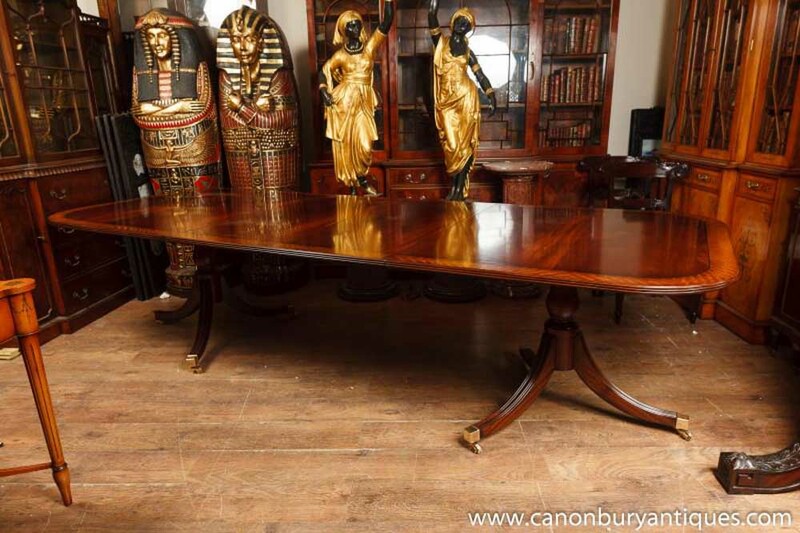 The table has two leaves that measure 18 inches each and this is nearly ten feet when fully extended – great for large scale dinner parties. You can take out the leaves to suit different functions. 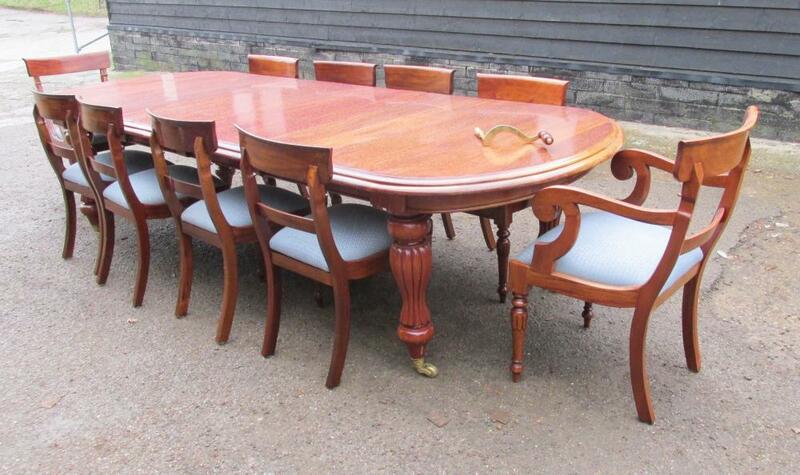 The table is offered in great shape, solid and sturdy, wobble free, built to last making it a great investment. We will ship to anywhere in the world so get your quotes in early. We have various chairs to match so please contact if you are looking for a set. 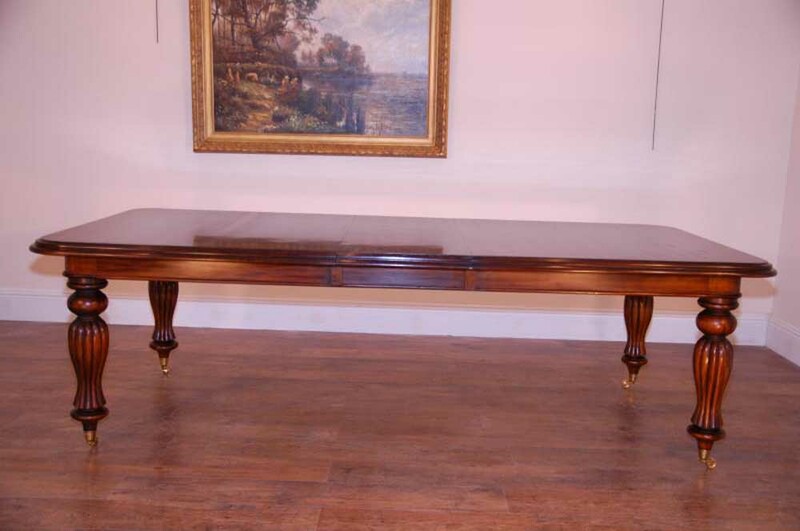 You are viewing a gorgeous English Victorian style dining table which measures ten feet when fully extended. 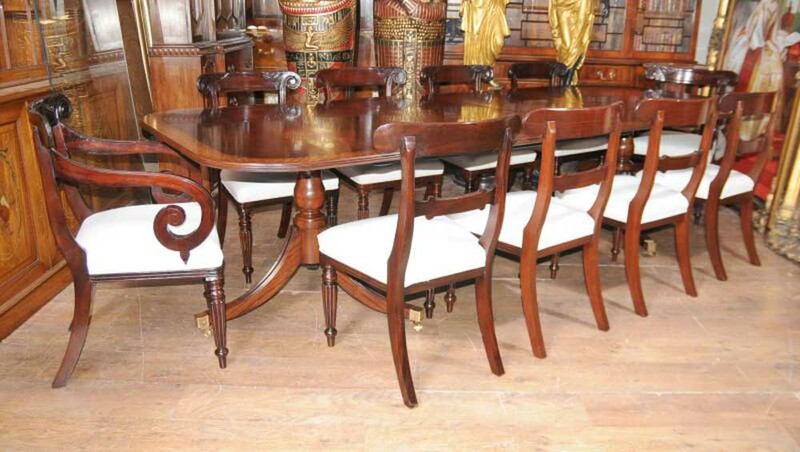 The table has unique spiral legs which really give it a distinctive flavour. The finish to the table is superb and structurally this is sturdy and stable, wobble free and ready to serve you for years of service. A great investment. There are two leaves each measuring two feet so there are various size combinations possible with the table. 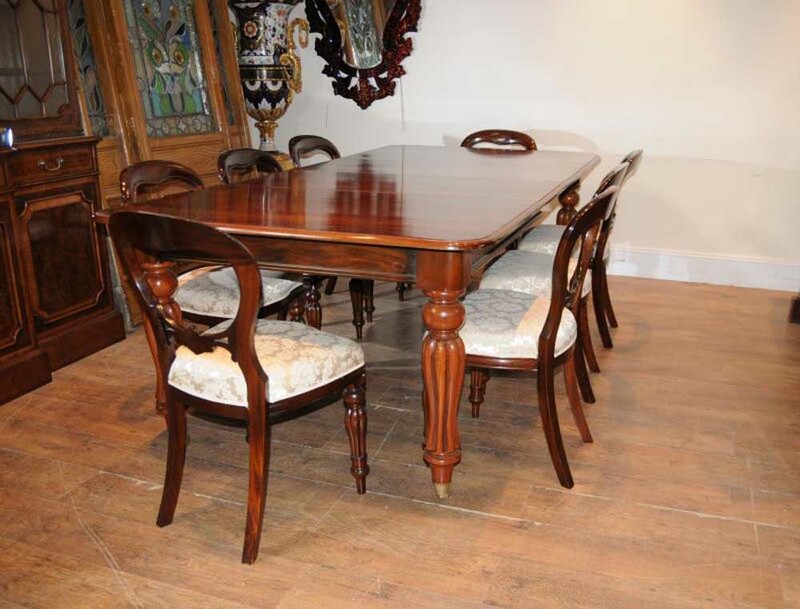 We have pictured it with various sets of chairs around it so let us know if you are looking for a dining set and we can send photos of matching chairs. Dine like a king – and queen! We will ship to anywhere in the world. We bought this from a dealer in Debenhham, Suffolk.